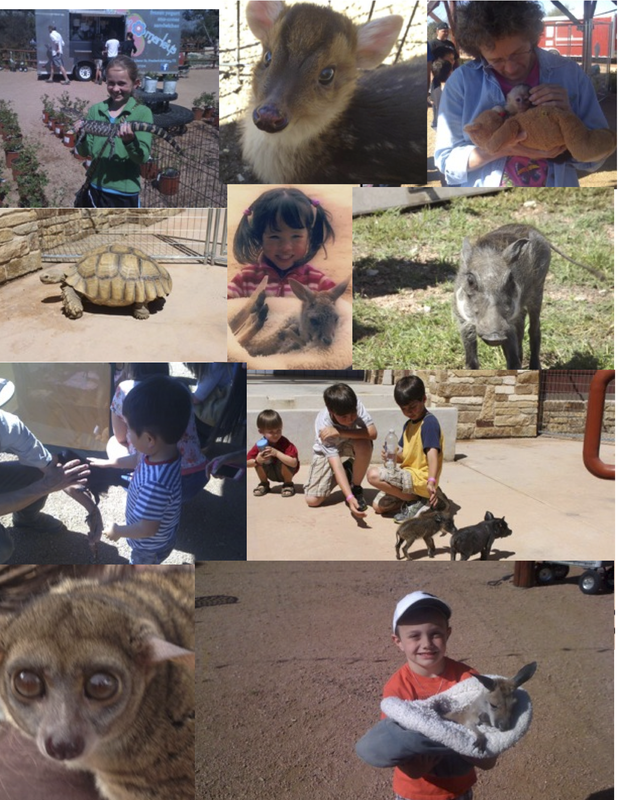 What We Do: Zoofari Animal Outreach offers customized exotic animal programs and animal shows. We do this through a unique mobile petting zoo for schools, special needs programs, fundraisers, camps, civic groups, and conservation programs in San Antonio, Austin and the Texas Hill Country. Large assembly, interactive presentation, followed by a meet-and-greet and photo opportunities with the animals. Mobile Petting Zoos with guided opportunities to learn about, touch and interact with up to 15 exotic animals. Classroom visits, perfect for science classes, special needs programs, story time or other activities that enhance learning. Lessons/guides that align with the Texas science curriculum (TEKs). Fundraisers, charity and corporate events. Call Laurie at 512-496-7861 or write zoofarianimals@outlook.com for pricing!